This stunning sterling silver heart tag bracelet features a heart-shaped drop charm with a .025ct diamond in the upper right hand and a toggle clasp. 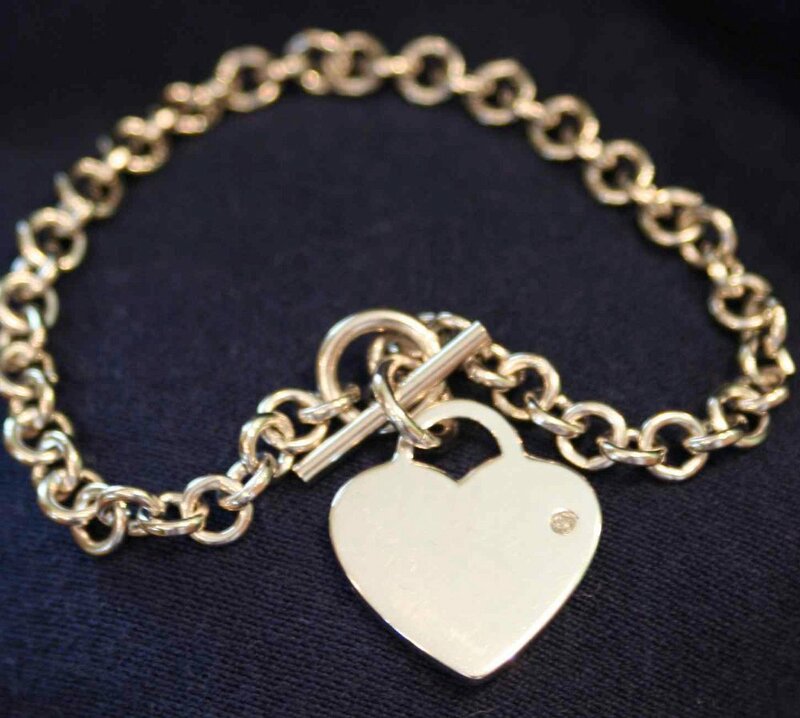 The sterling silver heart tag bracelet is an ideal gift for mothers or brides. Engrave a special message or monogram on the heart for personalization. This solid sterling silver heart tag bracelet is 7.25 inches long with 6.5 mm wide links. The suspended sterling silver heart tag is perfect for engraving. The charm measures .75 inches by .5 inches. This sterling silver heart tag bracelet is available with or without engraving.